Food is simultaneously our most valuable and most vulnerable resource to date. As such, it definitely merits a bit of probing in search of alternatives to our local grocery store. This in-depth Valley Food Storage review will definitively unearth whether this company is a boom or bust once we’re out of the frying pan and in the fire. Starting from the top, the packaging might seem a bit too “utilitarian” or prosaic. However, this Valley Food Storage review puts heavy emphasis on quality rather than bells and whistles. The bags are high-quality mylar, which protects your food from light, heat, oxygen, moisture, and rodents. It’s no wonder they can offer a guaranteed 25 years of shelf life. They are also resealable. You will definitely recognize all the ingredients listed in the charts. More importantly, unhealthy food additives are definitely nowhere to be found. All of the products are made without GMO, hydrogenated oils, preservatives or MSG (Monosodium-Glutamate). MSG is one of the non-essential amino acids, commonly used as a flavor intensifier, which means all of the flavors in Valley Food Storage come from the food itself. This, of course, requires real food without any fillers for lowering production prices. This spells quality in the book of every prepper worthy of the name. The inside of the package holds a freeze-dried meal of your choice, which doesn’t look all that bombastic, to be honest. The powder you will also see is a dehydrated sauce (garlic, Worcestershire, dried milk…). The taste, on the other hand, is out of this world – even after collecting dust on a shelf for a couple of years. None of the items are imported or “assembled” anywhere in the world besides the US of A. Lastly, this section of the Valley Food Storage review wouldn’t be complete without mentioning that you can get a free sample if you’re on the fence about trying their products (plus the shipping – a big caveat!). 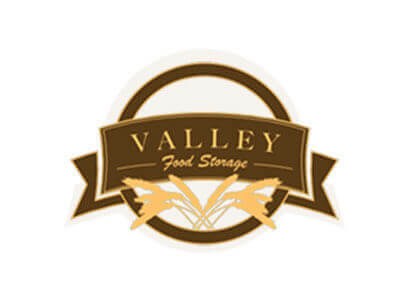 This Valley Food Storage review will paint their product picture in wide strokes since they’re too spread across-the-board for a nitty gritty approach. “Food” in their name tends to be a bit deceptive, as it doesn’t include the rest of the offer. It’s all you’ll ever need for supplying your loved ones with pure drinking water for the long run. Many of the known preppers use water filtration systems even as we speak. There’s no need for a major calamity to strike in order to drink the cleanest water possible, right? Under “supplies,” we truly have a prepper’s dream come true. You won’t exactly find your bug out bag just waiting to happen, but you’ll surely fill a decent portion of it. Don’t expect any survival tools here, this is a food company before anything else. If you dig deep enough, you can also find some humorous-but-useful gift options. One of the most original is the 55-gallon water barrel, described as the “perfect” gift for newlyweds. Before anything, you get FREE shipping on all of the products currently offered. No need to brainstorm about the distance between their headquarters and your home, just press order and wait for your long-term alimentation plan to arrive without any hidden surcharges. This sounds too good to be true – and it somewhat is. Namely, the said “free” shipping” is meant only for the lower 48 states. The real info is well tucked into their return policy. So, be mindful of geography when ordering. The moment you order something, it will be shipped within five business days, if the ordered items are in stock. Once the order leaves the warehouse, the tracking info will be sent within the next 24 hours. As far as refunds are concerned, their policy has you covered for the first 30 days. There are several conditions that must be met for a successful refund, depending on what you want to return. “Yesterday was the only easy day,” say the Navy Seals. We can definitely learn something along those lines from this Valley Food Storage review. Don’t put up building your own long-term food and water supply for tomorrow anymore! This company has been prepping us for the worst nearly 12 years now. They’ve made quite the name for themselves with sheer quality rather than fancy packaging and attractive stickers. It’s here because “it just works,” to quote “The Purge”. If you ever get discouraged along the way, just keep this one in mind. Was it raining when Noah started building his ark? The food is generally ok, and I can’t really speak about the shelf life, yet. My personal opinion for now is that it’s too expensive for the quality.